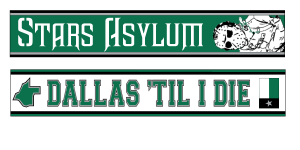 Help us Create the Stars Asylum Scarf!!! We have unfortunately run out of our old Stars Fanatics scarves; so many people wanted them that they flew out of our inventory. With the end of that line and the formation of the Stars Asylum comes the opportunity for a NEW line. In the past we have gathered fan feedback to help us re-design or tweak them into something much better; so, before we place any orders we would like to hear what y’all think about them. So PLEASE post your constructive feedback in the comments below. Express how you feel about them. Just remember, we can’t use any of the Stars copyright protected logos. This product is still in it’s infant stages; we will show you what we have before we order it! 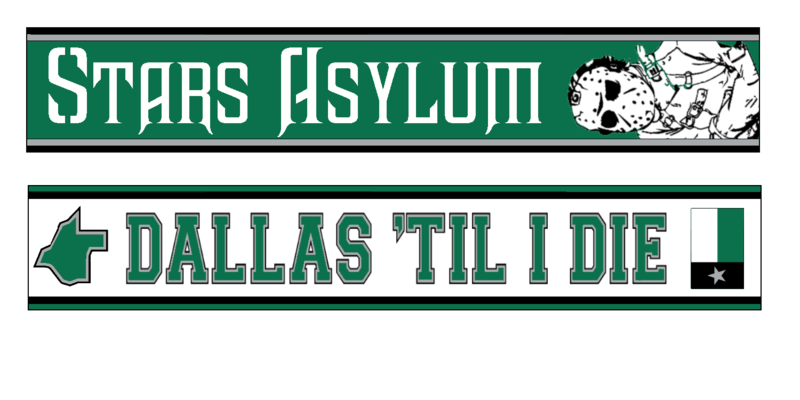 Please help us make this a fantastic new scarf for our new team! For the fans. By the fans. Because of the fans. Crazy for the Stars or Inmates running the asylum….never mind. I got nothing. I really don’t like the Dallas Til I Die because that’s copying FC Dallas’ thing. I can respect the concern. When we started using that a number of us were FC Dallas regulars so it was easy to “borrow” their saying. We will definitely consider your comment in our next draft!